BREAKING: Late on Saturday, PM Sorin Grindeanau announced his government would repeal a controversial law that has sparked demonstrations across the country. Protesters have been incensed by a decree that proclaims those found guilty of abuse-of-power won’t go to prison if the sums involved are less than $48,000. The Cabinet is expected to hold an extraordinary meeting on Sunday to “find a legal way to make sure it [the law] doesn’t take effect”. At least a hundred thousand Romanians were expected to take to the streets on Sunday, with rallies expected in Bucharest and other major cities. The new law has provoked the largest protests in Romania in a quarter of a century. The decree – and its opponents – both have political motives. A number of high-profile Romanian politicians have found themselves on the receiving end of the anti-corruption process in recent years. These include the former leader of the centre-left Social Democrats, who came to power in early January. Liviu Dragnea, widely perceived to be the country’s de facto leader, was convicted of corruption in April last year and handed a two-year suspended sentence. This prevents Mr Dragnea from formally holding the prime ministership – a situation the ruling party desperately want changed. 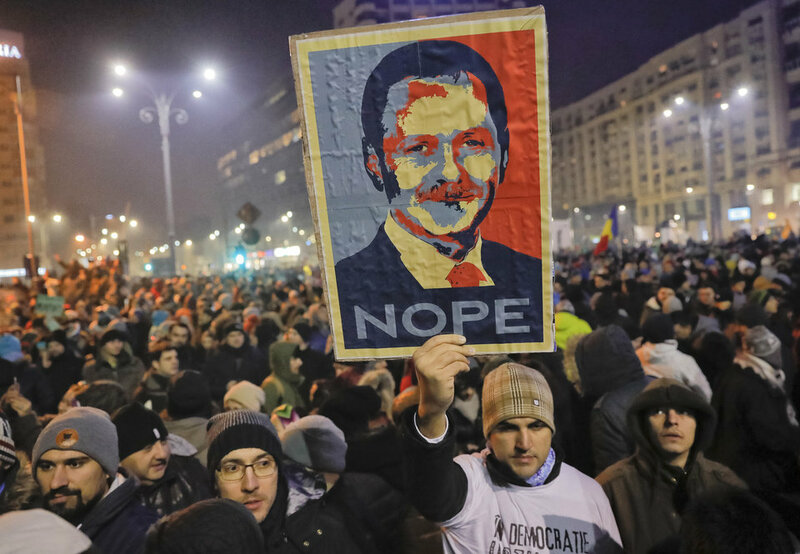 But with criticism streaming in from the US and Europe, Romania’s new government will have to weigh up their desire to reinstate their leader against the foreign repercussions of crimping the anti-corruption process and domestic turmoil. The country’s centre-right president has already begun the process of challenging the law in court. A timeline for the ruling is expected to be outlined on Tuesday.